The Liz James Crew is loving the Ann Marie. This necklace is hand knotted with fresh water pearls. 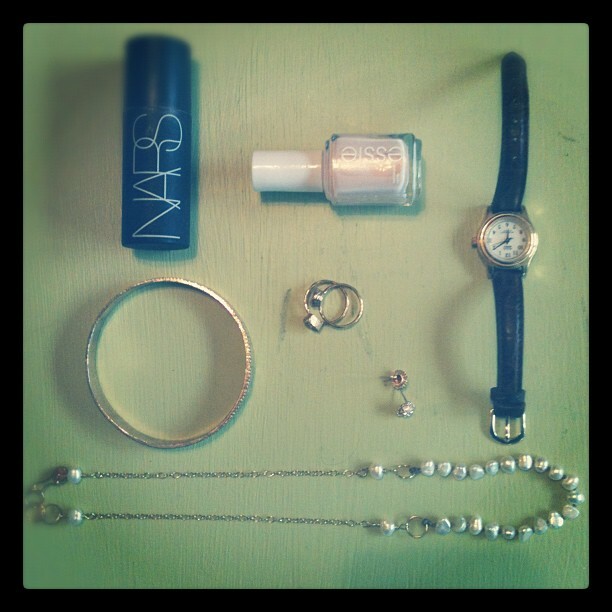 This morning, I styled it with a few necessary accessories for a very ladylike finish. We’ve decided to start showcasing one of our pieces every week! Up first is our Libby bracelet. 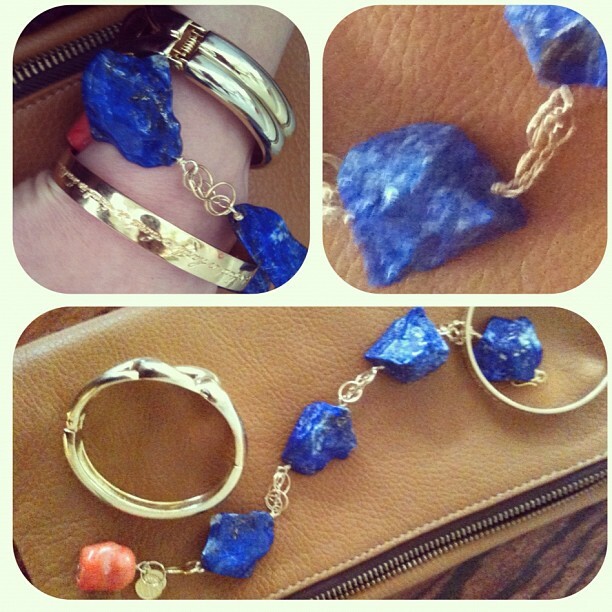 It has large lapis stones and a pop of coral at the clasp. We sometimes refer to this one as our “weekend piece” because it’s the one we pick for Saturday shopping, brunch, or dinner. It has so much personality, but goes great with gold bangles for day and night. Tell us which piece is your favorite and we’ll add it to our weekly line up! Meet the Liz James Crew! Good morning! Today you’re in for a treat. Let me introduce you to the ladies of Liz James. These women work so hard around here. It’s high time you see the pretty faces behind the creation of our handmade jewelry. Just for fun, I asked them to tell me which piece is their go-to. You know, the one they wear day and night with old pieces and new pieces. So here is our crew and the jewels you’ll see them wearing most! The Ashley will be on the website soon! Hi loves. It’s Jamie Pope! I am so happy to be back in Texas! 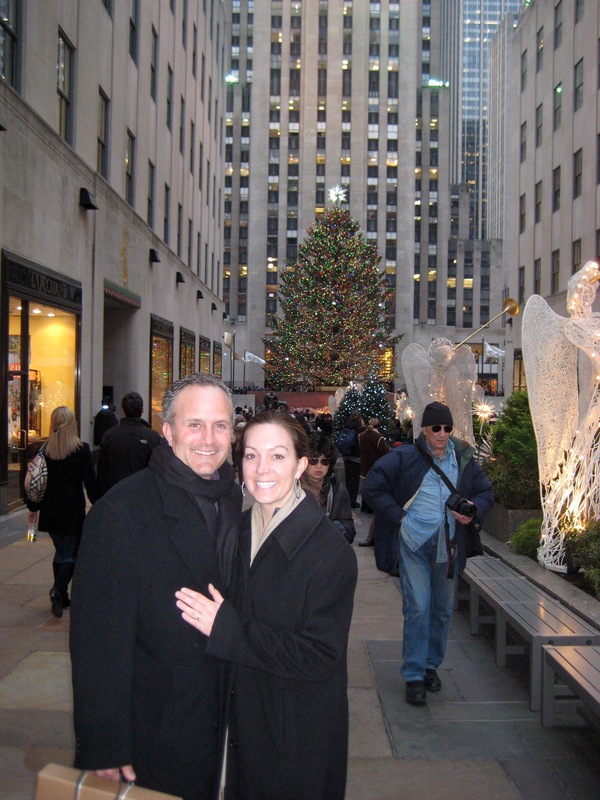 Here are a few pictures from my trip to New York. I went to check into a few things that could be in the works for the new year. I can’t spill the beans yet, but 2012 is going to be a very big year for Liz James! I hope y’all will get as excited as we are for what’s to come! 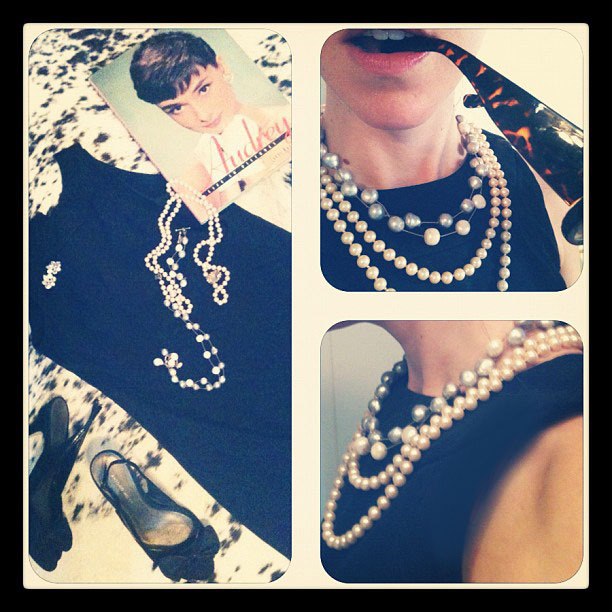 Yes, I am pretending to be Audrey! The hubs came with me! Sometimes we just like to show off how versatile our pieces are. This is our Allie necklace. We like to pair it with black or grey to add some oomph. 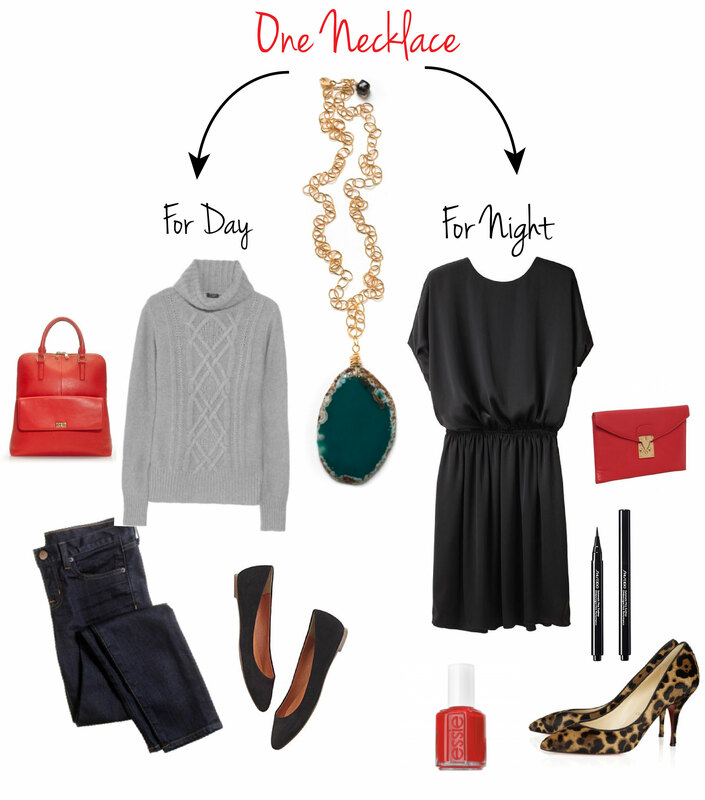 What do you wear with your Liz James jewelry? 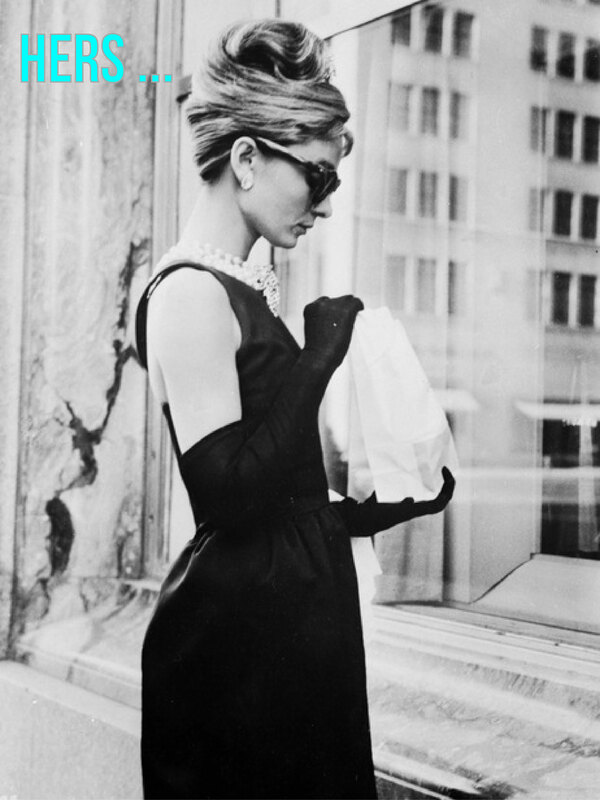 Just in case you missed the memo, we LOVE Audrey Hepburn. It’s safe to say she is our muse at times. Our designer, Jamie Pope, is off to New York City for the ENK Accessorie Circuit show. 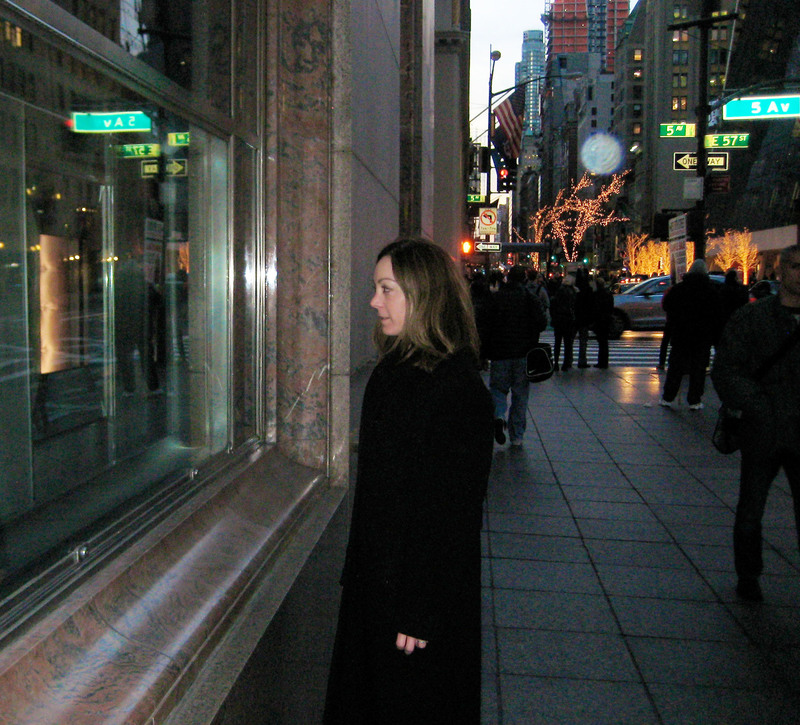 In honor of her trip to the Big Apple we thought we’d recreate one of Ms. Hepburn’s most famed photos outside of Tiffany. And now ours … all it took was two Claudias and some of our mother’s pearls. We love to mix all our pieces! We love a hand written letter. 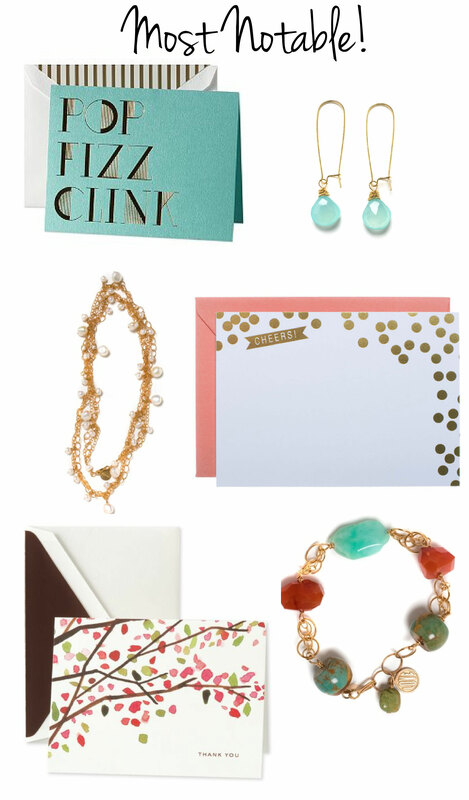 Today we couldn’t help but think — What if we turned our jewels to stationery? Turns out they’d make fetching little notes. Don’t you think? Note 1, Note 2, Note 3 and the rest here.